In Hinduism, auspicious ceremonies or activities are always carried out in a Shubh Muhurat. There are various muhurats (Date, Nakshatra, and Lagna) available in Hindu Calendar for purchasing new cars or vehicles alongside Marriage, Griha Pravesh, Mundan Muhurats. It is believed that by buying one’s preferred vehicle in a shubh muhurat brings peace and prosperity in their lives as well as reduces the risk of any undesirable or unexpected event. From personal to commercial, muhurats are available for all vehicles including cars, bikes, trucks, etc. Char (Cardinal) Nakshatra: Swati, Punarvasu, Dhanishta and Satabhisha are called as Char Nakshatra, and are exceptionally propitious for buying new car, used cars or any other vehicle. These Char Nakshatra are also considered auspicious for driving a vehicle for the first time. One can also prefer other Nakshatra for purchasing a vehicle. Auspicious Days: Monday, Wednesday, Thursday, Friday and Sunday are propitious for buying a vehicle. However, Friday is most favourable among them. Auspicious Dates: Prathama, Tritiya, Panchami, Shashti, Dashami, Ekadashi, Trayodashi and Purnima Tithi are considered aucpicious for purchasing a car of your choice or any other vehicle. However, one must not buy a car on Amavasya Tithi. Auspicious Lagna: Gemini, Cancer, Leo, Virgo, Scorpio, Sagittarius and Pisces Ascendant are highly advantageous for carrying out this auspicious task. Cardinal and Dual Sign Lagna (Char and Dvi Svabhava): Cardinal and Dual Lagna are favourable for driving as well as purchasing of cars. 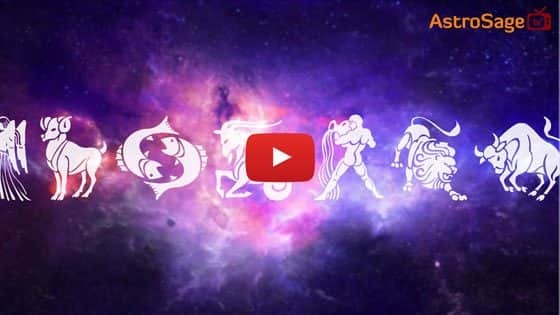 Among all sign ascendants (Lagna), Aries, Cancer, Libra and Capricorn are Char Lagna, and Gemini, Sagittarius and Pisces are Dvi Svabhava Lagna. Planetary positions: Moon should not be present in Sixth, Eighth and Twelfth House on the day of vehicle purchase. Furthermore, position of the ruler of Fourth House and Venus in a person’s Horoscope must also be analysed. As per Vedic Astrology, Rahu is a malefic planet, which reflects bad results on an individuals’ life. It is the very nature of Rahu to create problems and hurdles during an auspicious activity. So, it is advised by expert astrologers that one should not perform any propitious ceremony or task in Rahu Kaal. ● Activities started during this period are not concluded without hassles, which could be any, considering the position of Rahu in your Kundali. ● One must not purchase car, bike or other vehicle, house, Jewelry, etc in this period. ● One should also avoid buying or selling a vehicle during Rahu Kaal. Every person wants to buy his/her desired car or vehicle in a muhurat beneficial to them, which depends on the position of planets and Nakshatra in their Kundli. Other than this, Color of the Car is also considered at the time of purchase as it holds high astrological significance. Aries- Blue or similar colored Cars are fortuitous for the people of this sign. Although, they should avoid purchasing a vehicle in black and brown color. Taurus- White and Cream colored vehicles are felicitous for the natives of Taurus. However, avoid yellow and pink colored vehicles. Gemini- Purchasing a Green or Cream colored vehicle is beneficial for Gemini people. Cancer- People of this sign should buy black, yellow or red colored car as this color is beneficial for them. Leo- Grey or similar colored cars will be fruitful for the natives of Leo. Virgo- Buying a vehicle in White or Blue color is considered auspicious for the people of this Zodiac sign. However, they should avoid buying a car in red color. Libra- Black or Brown colored cars are believed to be propitious for Libra people. Scorpio- White colored vehicle should be bought by the natives of this Zodiac sign. However, they should not purchase Black colored car or any other vehicle. Sagittarius- Silver or Red colored Car is auspicious for the people of Sagittarius, but they should avoid purchasing Black and Blue vehicle. Capricorn- White, Grey and Slate colored vehicles are fruitful for this Zodiac natives. Aquarius- Aquarius people should purchase White, Grey or Blue color Car or other vehicle. Pisces- Yellow, Orange or Golden colored car is propitious for the natives of Pisces. Just like a new house, purchasing a vehicle is the dream of every person and therefore, buying it in a shubh muhurat is necessary to overcome any bad influence or event that might occur later. It is also among the important necessities of your life, whether for personal use or as a source of income. So, after buying your desired vehicle, you should also perform its Puja in order to maintain the peace and prosperity of your life.